My wife says I have way too many hobbies. She’s wrong of course. One of the “few” hobbies that I enjoy is building and flying RC airplanes. I am now flying the so called “giant scale” airplanes. 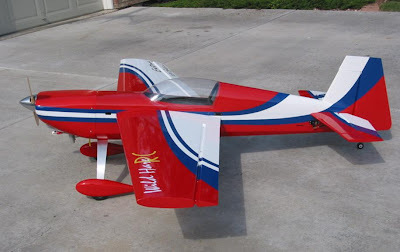 My most recent airplane is a 1/3 scale model of an Extra 330 aerobatic airplane. 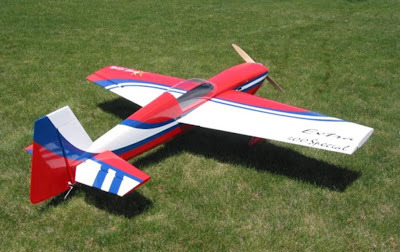 The wing span is 102” and it is powered with a two cylinder 100cc 2 stroke engine. 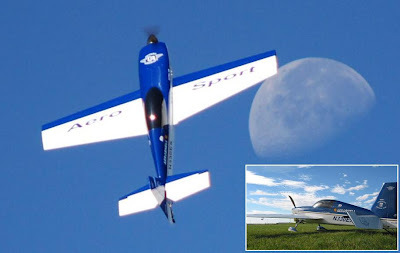 Prior to the 100cc plane I was flying a 50cc Extra300. A while back I had the unfortunate experience of disassembling this plane during a fairly hard landing. The landing really wasn’t all that hard, it was just that in the months leading up to this incident I had been making good progress in removing much weight from the airframe in trying to improve its performance. Unfortunately my weight reduction efforts eventually led to some compromises in the integrity of the airframe to the point that… well you know. 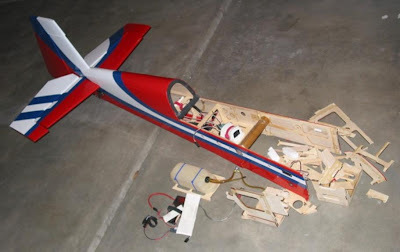 I could have purchased a replacement fuselage and had the plane flying again, but I decided to see if I could rebuild it. 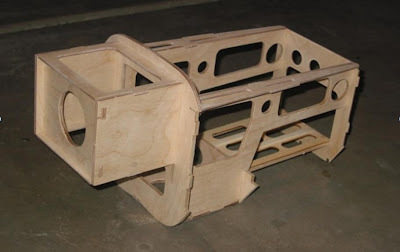 A friend had the same fuselage that I could use to measure parts, another offered to make the parts for me on his CNC router, so I decided to give it a try. 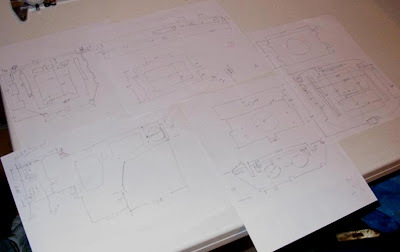 I spent a few hours measuring parts and sketching them out on paper. I then modeled all of the parts in 3D using CoCreate. As the assembly came together I adjusted the models as needed to get a good fit. 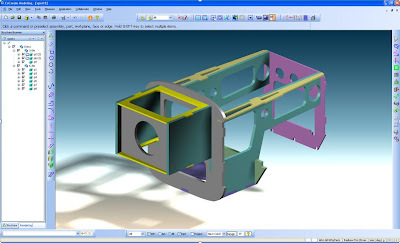 With the 3D models created and fit together, the necessary data was sent to the router to get the parts manufactured. These parts fit together so well that they actually held together without glue. After spending some time cleaning up the old fuselage, the new assembly was fitted into what was left of the originally fuselage. 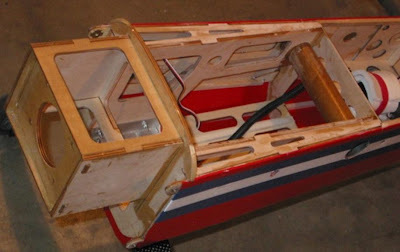 With some glue and clamps the fuselage was as good as new. The plane is now in great flying condition and I still enjoy flying it. I think I will just leave the weight alone this time. 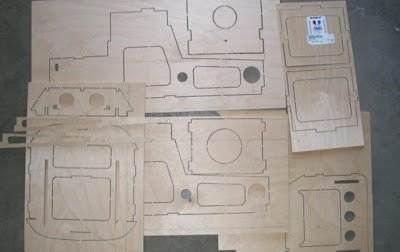 It is safe to say that had I used my 2D sketches and 2D drawings to manufacture the parts I would have had to correct a few mistakes and even make some of the parts over. With 3D models the parts were perfect, the first time. Good one.Can you send me the cad files you created for this.Thanking you in advance.